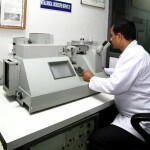 Direct reading optical device provided with 14X magnification capacity of more than 2,000 Tons. 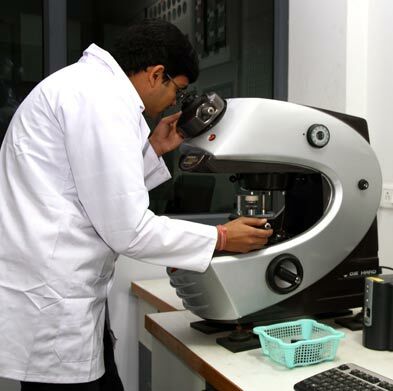 The microscope is equipped with Carl Zeiss lens with magnification power up to 2000X. 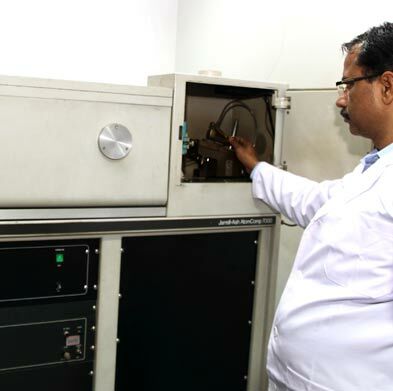 It is also equipped with features like analyser, polarizer and attached camera for measuring grain size, decarb, microstructure, inclusions, rating etc. It is attached with the computer to give mage display and generate reports. With 60 Ton load capacity, it is capable to check tensile strength, yield strength, reduction in area ratio and give digital outputs for easy study of behavior of materials. 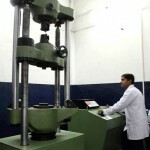 To check vicker hardness and decarburization. 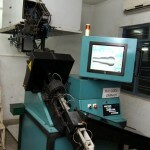 Attached with the computer it gives automatic display of various parameters required. To check chemical composition of steel. 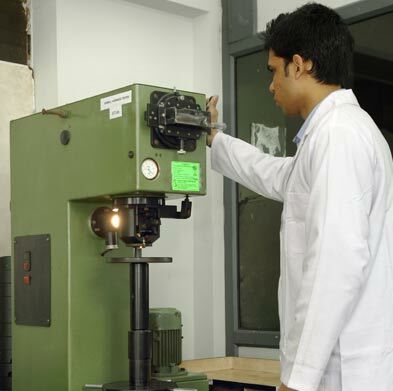 Hardness Testing at A, B, C and superficial scale. Rockwell and Brinell Hardness Testing at A, B, C and superficial scale. 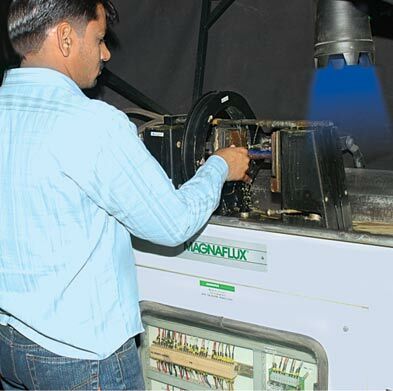 To check surface cracks in critical Automotive Components. A specially designed machine with 3 cameras for high-speed inspection of automotive fasteners and special components from different angles for various parameters like head height, thread angle, thread gap, major diameter and length etc. 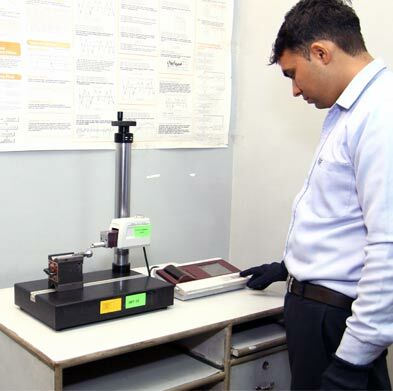 Highly precision measurement can be carried out by easy point picking and with the intuitive graphical interface. Advance features such as software assisted focusing enables depth measurements in the Z-axis, xy/yz projection measuremnts in 2D. Equipped with lasers and eddy current technology, it has the capability to deliver high-speed dimensional and metallurgical inspection for a variety of parts in a wide range of materials. Capable of High accuracy roughness measurement & round surface compensation. To measure coating thickness . A highly reliable equipment for checking the corrosion resistance of surface coating when exposed to a salt laden environment.